With Southwest Airlines nipping at their heels, Hawaiian Airlines are pulling out all the stops to show they are a more premium service. 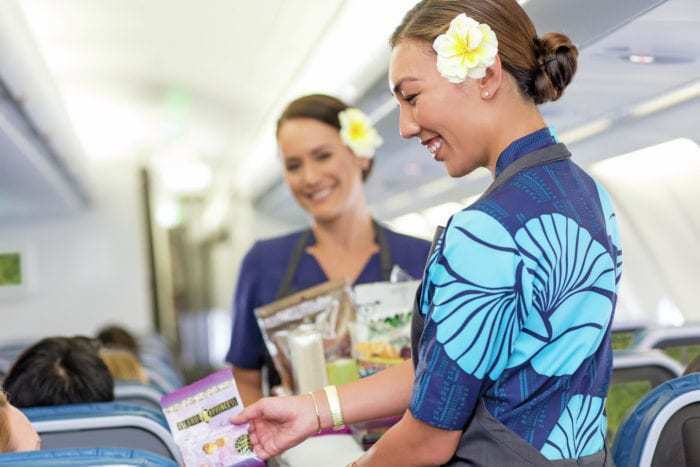 We take a look at Hawaiian’s current and future strategy, and how they aim to be better than Southwest. Carrying a record number of passengers in 2018, 11.8 million in total, last year marked Hawaiian Airlines’ 14th consecutive year of growth. This was despite rising fuel prices and increased competition on many of their US routes. No doubt the island carrier hopes this trend will continue into 2019, although it’s going to be a tough call. Southwest, with their rock bottom fares and no frills service, are aiming to disrupt the Hawaiian market, adding new routes and services as the year moves on. If Hawaiian are to continue their steady growth, they need to make themselves stand out from the crowd. And that appears to be exactly what they’re doing. In an interview with Routes Online, Peter Ingram was clear about the future strategy of Hawaiian Airlines. Premium carrier they certainly are, and it looks like Hawaiian is going all out ultra premium in a bid to differentiate themselves from the competition. Let’s take a look at what they’ve done so far, and how the future is shaping up for Hawaiian Airlines. Southwest launched their flights to Hawaii with a bang. For just $49, early birds could secure themselves a trip to the islands. However, these sold out within minutes, with the next lowest price going to $79. These too were all sold out within the hour, and standard prices of $99 were the best they could offer. Now, a few weeks into the route, and it’s hard to find even that level of pricing on the Southwest website. If you’re planning a trip in October, you might find a $199 fare here and there, but most are upwards of $250. Each way. In fact, the cheapest round trip we could find with Southwest (which included some pretty obnoxious flight times) came in at $357 including taxes. Hawaiian, although firmly not in a fare war with their rivals, are definitely in the same ballpark, according to their calendar. 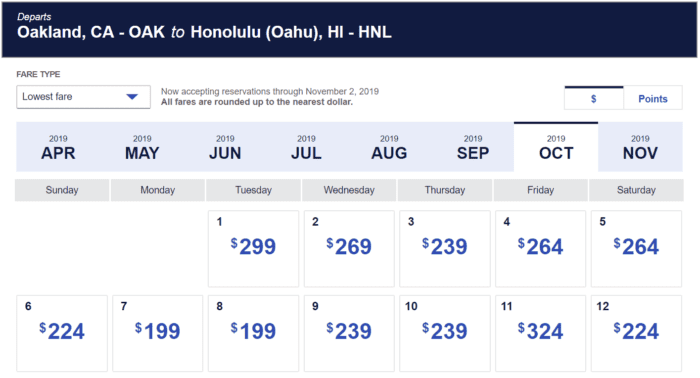 None of the other carriers, including Hawaiian, Alaska and the legacy carriers, engaged in a pricing war in response to Southwest’s launch. But perhaps that was because they didn’t need to. Cheap flights were sold out so fast, they really didn’t have time. But that was just round one. Clearly Hawaiian Airlines are banking on the fact that not everyone measures their flight satisfaction on price alone. Their inflight experience is a world away from Southwest, who operate on a very much ‘no frills’ basis. 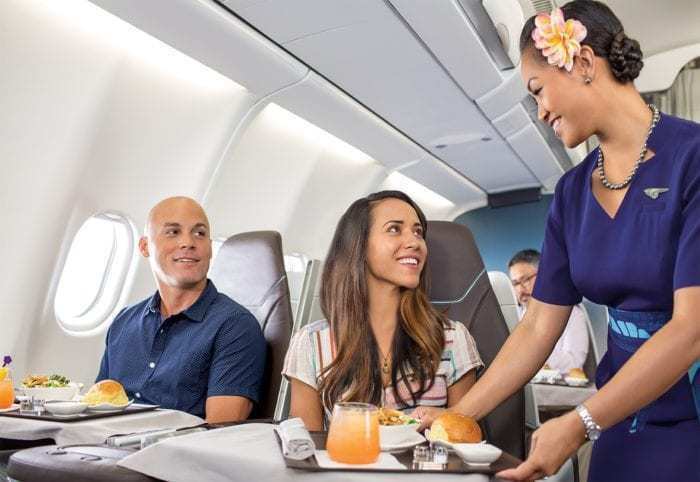 On board Hawaiian, you still get free meals as well as entertainment systems with seatback monitors. Southwest, on the other hand, have relented on their usually foodless service, but only insofar as to offer some free snacks. Entertainment is via your own device, and Wi-Fi will cost you $8. 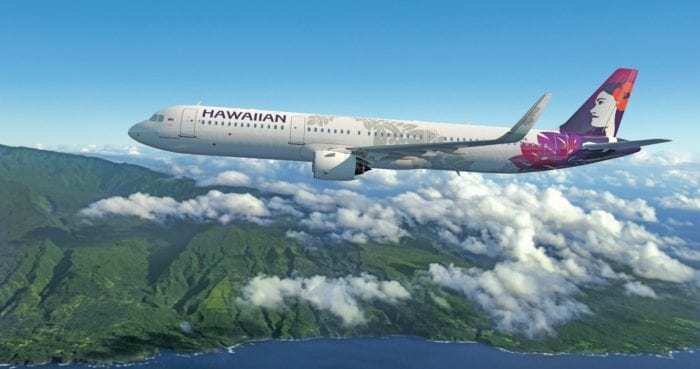 Hawaiian are upgrading their fleet, and their investment in newer, more capable aircraft will allow them to penetrate the market even better than they already do. At the end of 2018 they had 11 A321s, and over the course of 2019, they’re expecting another six. Bringing the Airbus A321neo into their fleet has allowed them to target more mid-haul destinations, this time with a smaller aircraft. Many of these routes would have been poor candidates for widebody aircraft. Mid-demand routes such as Oakland, Sacramento and San Jose are far better suited to the A321neos. Introducing the neo on these routes has allowed them to finally retire the last of their 767s, making the whole operation far more efficient. Not only do the new Airbus aircraft free up cash at the airline, they also free up their A330 to work on long haul routes. 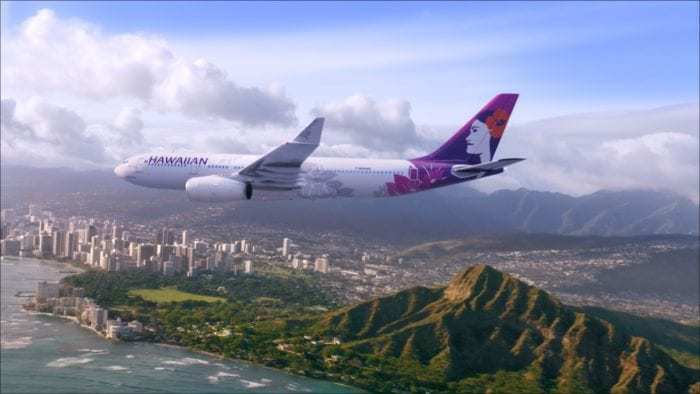 This will allow Hawaiian Airlines to launch Honolulu to Boston five times per week this year, a market that is impossible for Southwest to serve. The Honolulu to Boston route will launch this month. When it does, it will be the longest scheduled domestic route in the US. Flying time will be between 10 and 11 hours, covering 8,200km in total. 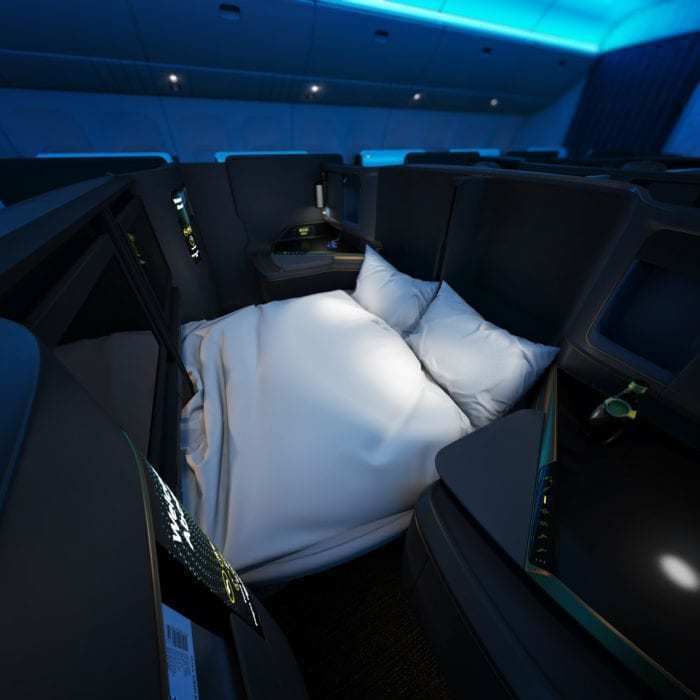 We recently revealed what their new business class cabins will look like on their forthcoming Dreamliner fleet (you remember, the ones with the double beds). They’re expecting their first in 2021, with a total of 10 on order and 10 more on option. On the A330, the premium cabin is simply beautiful, featuring Hawaiian’s unique take on luxury design, as well as super-comfy lie flat beds. 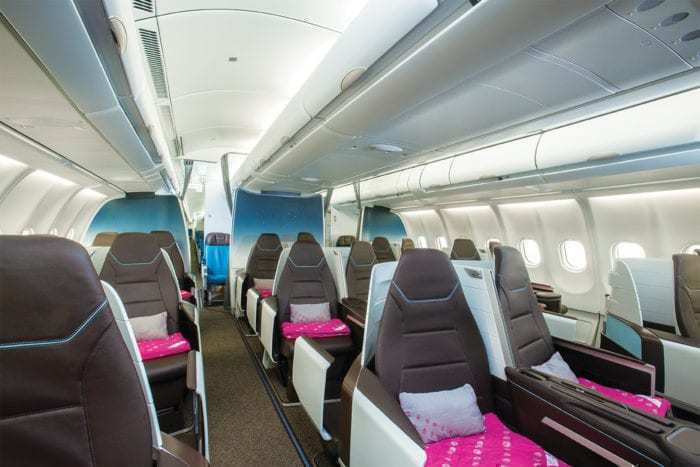 Even on the A321s, passengers can opt for a more luxurious experience. 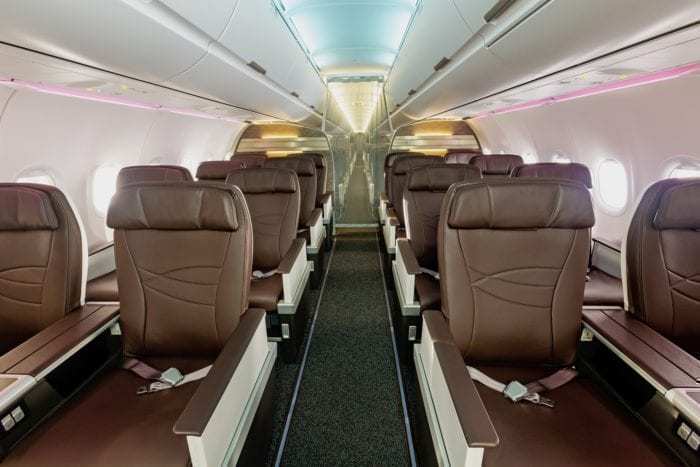 Their 16 leather recliners in the premium cabin offer a generous 39” of pitch and various other amenities such as power outlets and seat back tablet holders. 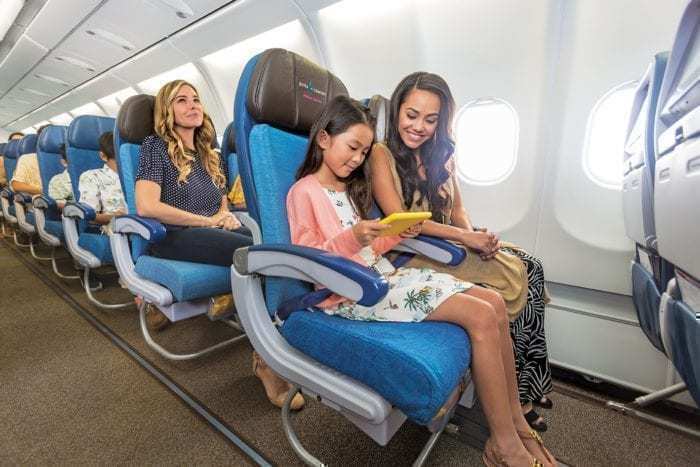 For economy passengers who want to start their vacation in style, but without the high fare of business class, both the A321 and the A330 have a product Hawaiian call ‘extra comfort’. These main cabin seats have around five inches of extra pitch, so are basically a premium economy selection. It’s clear that Hawaiian have little interest in fighting with Southwest over prices. Their strategy is plain to see: Simply be better. Their investment in new routes, new aircraft and a stunning new hard product put them in a different league altogether from Southwest. And when you’re no longer playing on the same playing field, there’s no need for arguments. 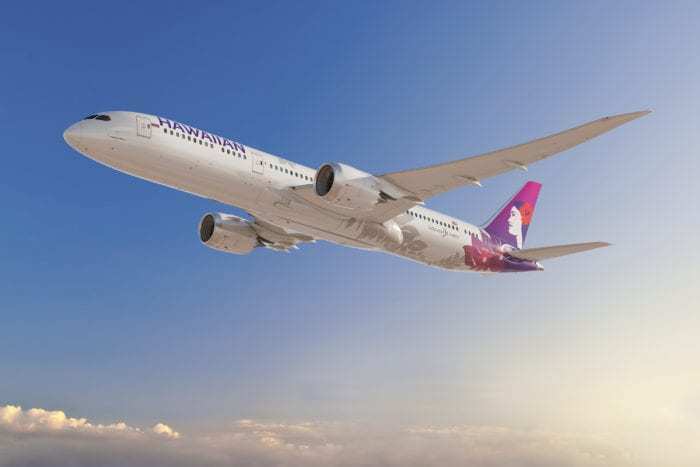 We’re excited to see what the future of Hawaiian Airlines holds, particularly those stunning looking Dreamliners! 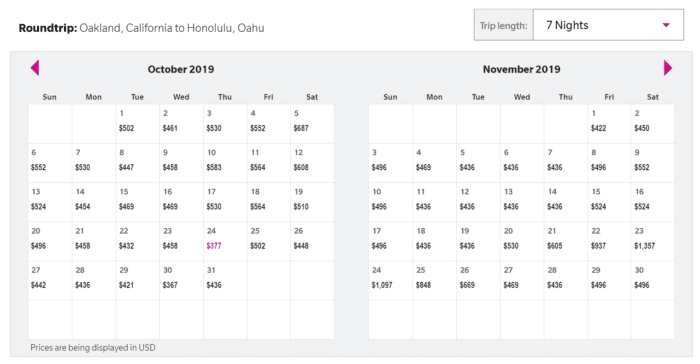 How about you, will you still fly Hawaiian, or are the Southwest fares just too tempting? Hope Hawaiian Airlines’ strategy pans out for them. There is no doubt that a superior hard and soft product will command a premium, but the big question is how much of a premium? Guess we’ll find out soon. On such a long flight, on a trip that most Americans can not take very often in their life’s I as a typical Southwest Airlines traveler would be willing to pay for a premium experience. Southwest will get you there but on a flight that lasts a long time comfort is definitely worth paying for. This article is pretty one-sided. It takes a stab at $8 wifi on Southwest and it fails to address if Hawaiian offers it and if so, at what cost to the customer. It says Southwest has foodless service but the reality is that snacks are offered on every flight on Southwest with more substantial ones being offered on longer flights. Lastly and most importantly, the articles suggests that the service is basic on Southwest. I am no expert but I think free checked bags, free live TV, free messaging, free movies, the ability to change plans and get a Southwest credit for what we pay, AND receive excellent care on the ground and in the air equate to something more the “basic”. You’re selling Southwest short. That all said, Hawaiian service sounds amazing, especially for those that can pay for more premium seating which is not offered on Southwest.